Staff Notes: July 8th, 1931. This corrido is about two students who on their way to Mexico to vacation were killed by sheriffs in a small town in Oklahoma. July 8th, 1931. 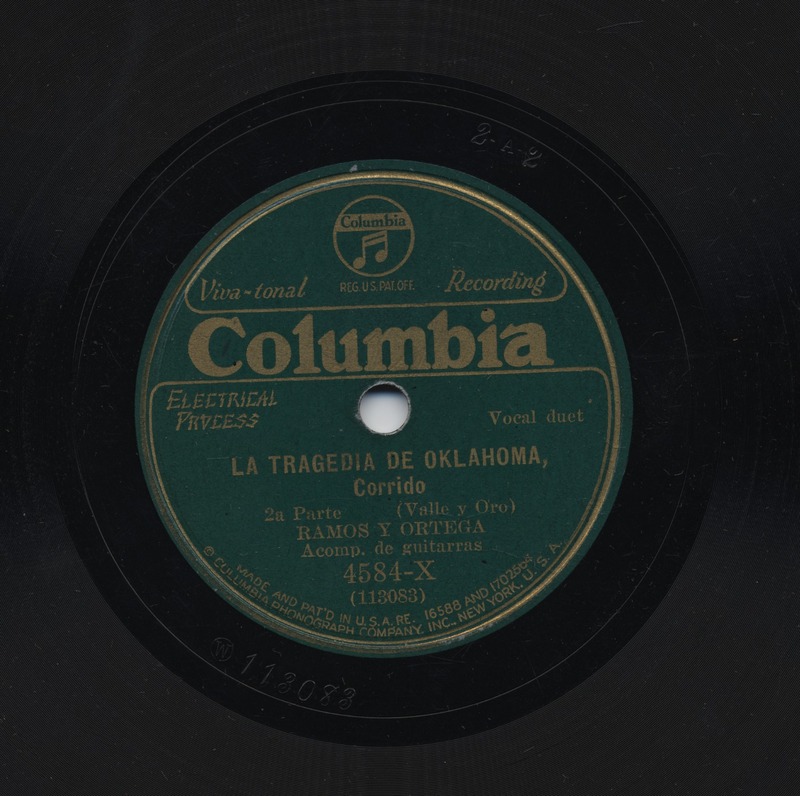 This corrido is about two students who on their way to Mexico to vacation were killed by sheriffs in a small town in Oklahoma.